When I started homeschooling my kids, I had three kids ages 4,5, and 8. The oldest, my stepdaughter, attended public school a few blocks from our house. In the beginning I had only one K'er and a preschooler who wasn't quite ready for academics. A couple years later, I had a K'er and a 2nd grader with a baby on the way. Fast forward to today - I have two out of school, a high-schooler, one in upper elementary, a k'er, and an almost 2yo - plus two giant furbabies! As the years have gone by, we have encountered many changes and challenges as our family has grown and I have learned a LOT along the way. While I still haven't figured out how to make more hours in my day or how to clone myself to get it all done (oh wouldn't that just make things so much easier), there are little things that make the load a bit lighter and our days (sometimes) run a bit more smoothly. I would love to share a few of my favorite tips and hacks for homeschool moms with you, wonderful reader, in the hopes something in my little list will be helpful to you, too! 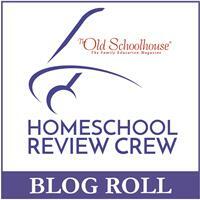 Must-Have Tools for Homeschooling Families!